"Is it for sale in China?" If this is your question, the answer is undoubtedly, Yes!! www.forsaleinchina.co.uk is an advisory site for two different groups of people. Those entrepreneurs looking to make their first trip to the Orient in search of new opportunities and also for the experienced international procurement specialist or company looking to further establish their trade links with China. Western traders looking to cooperate with their Chinese counterparts will be surprised at the significantly different practises employed by Chinese negotiators. An unwary western negotiator may find himself left wondering why it was so difficult to garner any interest from counterparts when he is clearly here to buy. Sometimes that is not enough. Guanxi is the flux that enables Chinese business to operate. If you do not understand and appreciate this then you will forever fail to operate successfully in China. Literally translated, Guanxi means Relationships, but a more appropriate translation would be mutually beneficial relationships. Chinese business people value greatly the mutually trust between two parties and will often spend a great deal of time establishing this trust and building the relationship before ever committing to business. The easiest way to garner this trust and establish Guanxi is to be introduced by a mutually trusted friend. This introduction carries more weight than can ever be understood by Westerners accustomed to straight talking and shooting from the hip . An introduction should not be underestimated. It can save enormous amounts of time and will undoubtedly save money in that the Chinese party will want to return the Guanxi favour to the introducer and therefore be keen to price the contract or products in such a way as to enable a deal to take place. The deal and eventual supply is much more likely to be as expected and to contract if it comes as a result of a Guanxi introduction. How many times do you hear you can not trust the Chinese? Everytime I hear this statement, it sickens me. Would you expect, as a foreigner, to walk into any American or European city and be met with genuine, honest and fair business people on every occasion you tried to do business. No! However when people jump on a plane, fly out to China with a wad full of money, looking for an fast buck is it any surprise they donâ€™t always get what they expected. The old saying, A fool and his money are easily parted, is just as true in any city, in any country the world over. The Chinese have been inundated with offers and promises of riches by Western traders for the last ten years, it is little wonder they treat newcomers with skepticism. Guanxi works. Do not under-estimate its power. This website is dedicated to promoting Chinese/Western trade and assisting in the building of mutually beneficial relationships. We can provide users with introductions to people who will help get things started. We can provide advice and guidance on how to begin. We can provide translation services and cultural guidance. We can provide introductions to shipping lines and quality inspectors. We can take you direct to the manufacturer without the use of an agent and without the need for a red pocket. 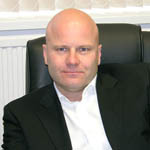 Richard Mark Kaye is CEO of the Fired Up Group, which has manufacturing and distribution facilities both in China and the UK. Richard has a long history of doing business in China and is ideally placed to lead the "For Sale in China" initiative. Click here to ask the question, the answer is undoubtedly, YES!